Naturally, my first post to Instagram had to be Newton-based. Posted by davelawrence8 at 7:23 am on January 13th, 2011. No comments... » Categories: eMate. Tags: eMate, instagram, newton, photo. Subscribe via RSS. Posted by davelawrence8 at 8:52 am on April 12th, 2010. One comment... » Categories: eMate. 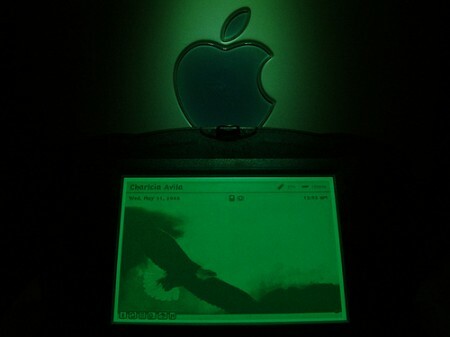 Tags: eMate, flickr, glow, green, newton, photo, powermac. Subscribe via RSS. One of the prototype “Batmobile” Newtons. See the full version here. The pic got some Gizmodo love yesterday. Posted by davelawrence8 at 6:39 am on January 18th, 2010. No comments... » Categories: messagepad. Tags: flickr, grant hutchinson, messagepad, newton, photo, prototype, splorp, wallpaper. Subscribe via RSS. 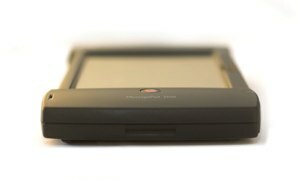 Tai Shimizu, a photo blogger, got his hands on a Newton MessagePad 2100 and posted his initial thoughts – along with some gorgeous isolated pictures of his new gadget. 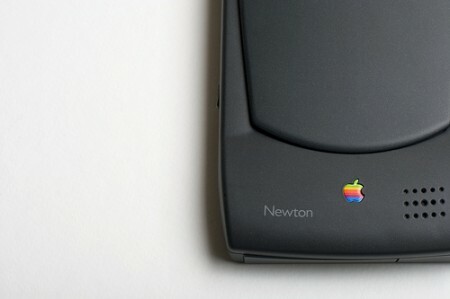 The UI of the Newton feels saturated with innovation, even when compared to new devices. The idea of the notepad being the centerpiece of the device is not only vastly different than current UI paradigms, but extremely useful due to the addition of the assist functionality. The pictures, like the one above, are great. Posted by davelawrence8 at 5:31 am on August 17th, 2009. No comments... » Categories: blogs, messagepad. 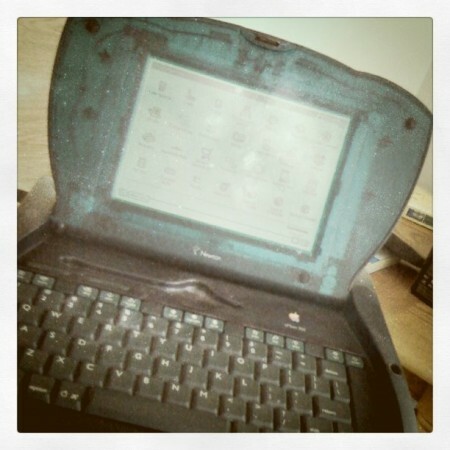 Tags: blog, messagepad, mp2100, newton, photo, pic, picture. Subscribe via RSS. 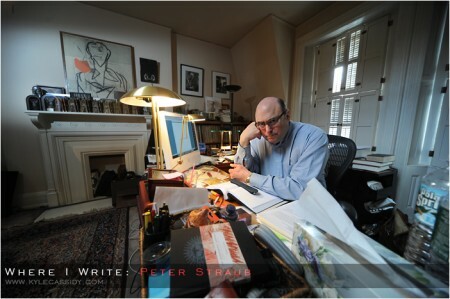 Author Peter Straub at his workspace, using either a G5 or Intel iMac. The Where I Write project has a bunch of great sci-fi author photos taken in their workspace by photographer Kyle Cassidy. I always find it fascinating to see where other people do their creative work. How many Macs can you spot? Posted by davelawrence8 at 6:16 am on June 8th, 2009. No comments... » Categories: GTD, macs. Tags: G5, imac, intel, mac, peter straub, photo, scifi, write, writer, writing. Subscribe via RSS. Courtesy of maczydeco on Flickr, and used with permission under Creative Commons. Posted by davelawrence8 at 5:24 am on May 29th, 2009. 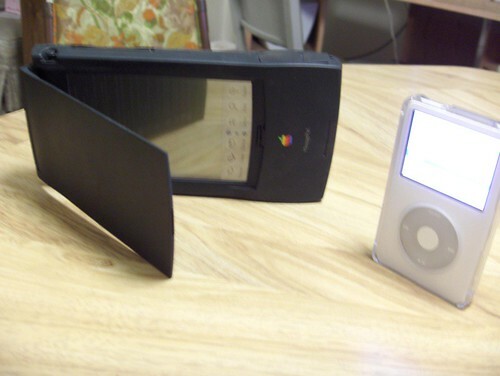 No comments... » Categories: ipod/iphone, newton. 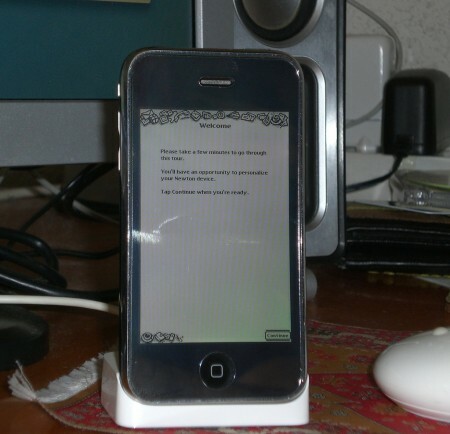 Tags: flickr, iphone, messagepad, mock up, newton, photo, picture. Subscribe via RSS. It’s pretty universal that Apple product fans love to take pictures of their conquests. Unboxing photo galleries, videos of guys opening the first iPhone boxes, even retro photo tours – they all crop up from time to time on the Apple blogs (I’m guilty myself). Sadly, however, unboxing a used Newton you just picked up on eBay doesn’t explode with excitement like today’s products. Thankfully, a group of Flickr users have dedicated a group to Newtonism that’s bursting with MessagePad photos of every sort. If there’s a mayor of Newton Flickr City, it has to be Sonny Hung, who hosts tons of photo sets of his Newton finds. Others are pretty great, too, including group founder Grant Hutchinson. If you’re a Flickr user and know your way around a camera’s macro setting, be sure to snap some shots of your own Newton and share them with the group. New photo uploads are few and far between. It’s always nice to see some new ones. Posted by davelawrence8 at 7:08 am on April 7th, 2008. No comments... » Categories: apple, community, newton. Tags: apple, apple fans, flickr, gallery, iphone, macro, messagepad, newton, photo, photos, unboxing. Subscribe via RSS.